Beijing, Jan. 14: India and China have resolved to look for ways to improve bilateral air connectivity. It has been reliably learnt that Jet Airways would soon begin its flights to the West Coast via China as soon as both the governments formally agree to remove existing obstacles. 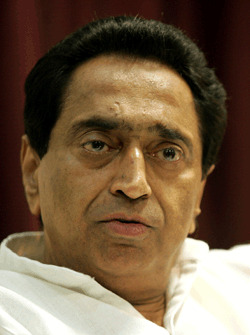 Union Commerce and Industry Minister Kamal Nath today told Indian media persons after the India-China Economic Trade and Investment Summit here that New Delhi has given permission to allow the Chinese cargo airline, Great Wall of China, to operate to Mumbai and Chennai and other cities, and in return, Beijing would clear Jet Airways application to begin the Mumbai-Shanghai-San Francisco flight. Earlier, India had expressed its reluctance to allow the Great Wall of China cargo aircraft access to some Indian cities over concerns emerged that one of its initial promoters (China Great Wall Industry Corp) had in alleged transfer of missile technology to Iran for which the company was blacklisted by US. The airline's request to operate to Mumbai and Chennai was not being approved as important nuclear facilities — Kalpakkam and BARC — are near these cities. It was later conveyed that Great Wall's ownership had since changed. India had softened its stand a bit by allowing the carrier to fly to Delhi and over-fly the country's airspace. But this didn't help end the stalemate. The cargo airline, however, wanted land for operation in Chennai and Mumbai. Nath said today that he had made an energetic push to resolve the issue, and now it was upto the Chinese Government to respond positively. This flight could begin by March on the two new Boeing-777s ordered specifically for this route.